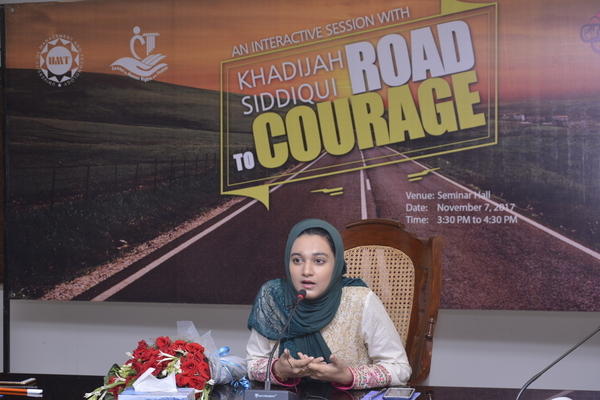 Center for Human Rights and Justice (CHRJ) with the Collaboration of OPA and Gal’s Zone organized the seminar “Road to Courage: An Interactive Session with Khadijah Siddiqui” on November 7, 2017. 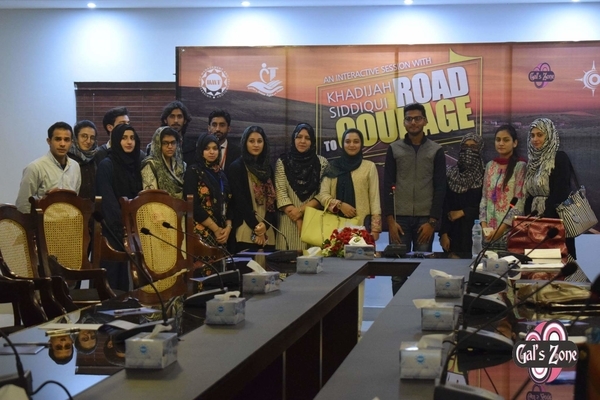 Khadijah Siddiqui is a young law student who was stabbed 23 times in 2016 by Shah Hussain, the son of a senior lawyer of Lahore High Court Bar. Unlike many other women, who do not take stand for themselves and hesitate to fight a legal battle but Khadijah, a young girl from a middle-class family stood against injustice and fought the legal battle against Shah Hussain for over a year. Shah Hussain was sentenced to seven years imprisonment by a Judicial Magistrate at Cantonments Courts, Lahore. 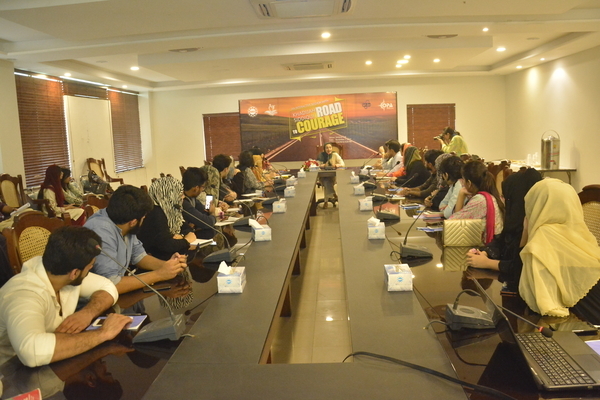 Khadijah Siddiqui shared with the audience the challenges she faced in getting justice in her talk given at the seminar. © Copyright UMT, 2017. All Rights reserved.